This town is home to several highly important landmarks. 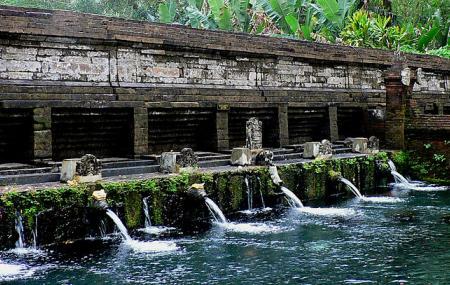 The foremost of these is the Tirta Empul temple, the sacred spring waters of which are said to be holy, healing and cleansing to its bathers. The second is 11th-century Gunung Kawi temple and funerary complex, found on the Pakerisan River. Ten shrines, each about 7 meters high, are cut into the rock; they are dedicated to King Anak Wungsu and his wives, concubines and sons. The third is the Presidential Palace, one of the six in all of Indonesia; it is not open to the public. And while you’re here, you might as well check out the Luwak Coffee Plantation, the Bali Pulina coffee plantation, and take pictures of the Tegallalang Rice Terraces. How popular is Tampak Siring? People normally club together Tirta Empul and Mount Batur while planning their visit to Tampak Siring.